Tragedy once again struck the football world on Tuesday afternoon, as it was reported that former Chicago Bears first round pick Rashaan Salaam has passed away at the age of 42. Salaam’s death was reported by ESPN’s Adam Schefter, citing a family spokesman with knowledge of the situation. According to the report, the coroner in Boulder, CO reported that Salaam’s body was found at a park on Monday, but that there were no signs of foul play in the case. Salaam was chosen by the Bears with the 21st overall pick in the 1995 NFL Draft out of Colorado, where he was a standout running back for the Buffaloes. He won a Heisman Trophy during his collegiate career, rushing for 2055 yards and 24 touchdowns as he fended off Steve McNair and Kerry Collins for the prestigious award. 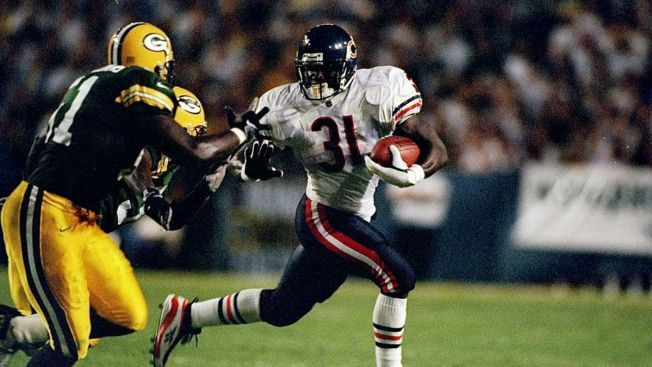 After being drafted by the Bears, Salaam had an excellent rookie season, rushing for 1074 yards and 10 touchdowns in his first season in Chicago. Unfortunately, injuries and drug-related issues dogged him through the rest of his NFL career, as he played three more seasons with the Bears and then never played in the NFL again.